A drug dealer who trafficked three teenagers from Birmingham to rural Lincolnshire to run a crack den and sell drugs has been jailed for 14 years after the first prosecution of its kind. 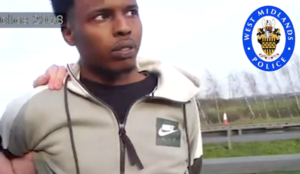 Zakaria Mohammed recruited the vulnerable youngsters to extend his “county lines” drugs network to Lincoln, but was caught after two 15-year-old boys and a 14-year-old girl were reported missing, before being found in a squalid and freezing flat. The 21-year-old will serve half of his sentence before he is eligible for release on licence. Mohammed, from Trinity Road, Aston, is thought to be the first drug dealer convicted in Britain for breaching the Modern Slavery Act by trafficking children. Police said Mohammed, who admitted four counts of possessing drugs with intent to supply and five counts of human trafficking, raked in £500-a-day in profit by organising the sale of crack cocaine and heroin from premises in Lincoln, which were raided in January. Although no drugs were found at the property in Yarborough Road, police recovered knives, one with blood on it, and cash, leading them to believe it was being used a base to supply around 100 local drug addicts. A surveillance operation then identified a Seat Leon vehicle registered to Mohammed as making regular trips from Birmingham, often accompanied by teenagers, to an address in Lincoln’s Foster Street…. Officers from Lincolnshire Police recorded video evidence of children passing drugs to punters – often completing deals every 10 or 15 minutes – and swooped on the flat in Foster Street on February 12. Three 15-year-old boys, all reported as missing from Birmingham, were found inside the one-bed flat along with two known Class A drug users. A total of 25 wraps of heroin and crack cocaine were uncovered, plus cash and two so-called zombie knives….